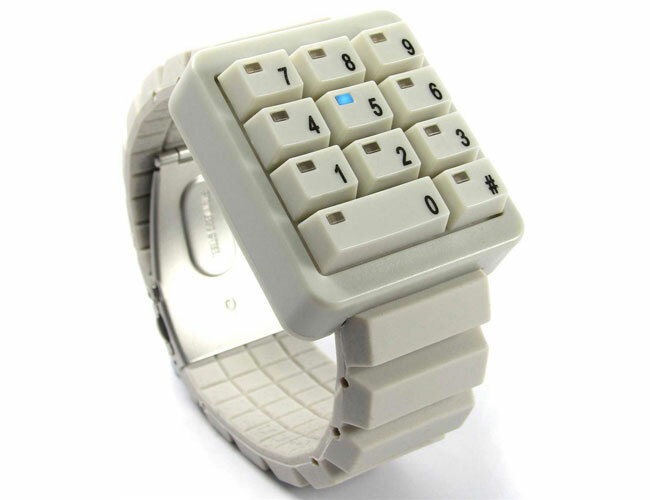 If you are looking for a watch that it completely different than your average timepiece, then have a look at the Click keypad LED watch, which has obviously been inspired by a keyboards numeric keypad. If you push one of the numbers on the Click Keypad Watch, the time will blink on the individual keypad numbers, and it supports moth 24 hour and 12 hour time modes, and will also tell you the date. If you want one of these Click Keypad LED watches, they are available for 89.99 each from Watchismo, and they come in a range of colors, which include blue, white, black and brown.